The EB1B visa is a powerful option for foreign professors and researchers to work as a professor or researcher for a US university or a private employer. With an EB1B visa, you can get a green card for yourself, your spouse, and your unmarried children under 21 years old. 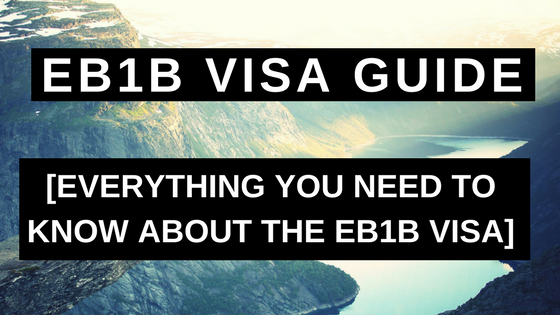 In this guide, I’m going to discuss what you need to know about the EB1B visa. If you have any questions about the EB1B visa, email me at Michael@AshooriLaw.com. You can reach me at any time via email. 1. What is the EB1B Visa? 2. What are the Benefits of an EB1B Visa? 3. What are the EB1B Visa Requirements? 4. What Documents are Needed to Apply for an EB1B Visa? 5. What is the Process of Getting an EB1B Visa? 6. How Does USCIS Decide Whether You Are Outstanding in Your Field? The EB1B visa is an immigrant visa classification for outstanding professors and researchers. To qualify for an EB1B visa, you must show that you are internationally recognized as outstanding in a specific academic area. In addition, you must show that you have at least 3 years of experience in teaching and/or research in your academic field. Also, you must show that you will be working as a professor or researcher for a US university or institute of higher education, or that you will work as a researcher for a private employer. The EB1B is an immigrant classification, so it allows you to get a green card for yourself, your spouse, and your children under 21 years old. The EB1B petition must be filed by your prospective US employer. The US employer is the petitioner and you are the beneficiary. A unique advantage of the EB1B visa is that it does not require a labor certification. A labor certification is issued by the US Department of Labor and can be time consuming and tedious. Your US employer can skip this process and directly offer you a job through the EB1B visa. The EB1B visa is an immigrant visa for outstanding professors and researchers. With an EB1B visa, you can get a green card for yourself, your spouse, and your children. This visa does not require an approved labor certification. The EB1B visa is an immigrant visa classification which means that it qualifies for a green card. With a green card, you can travel in and out of the United States. Your spouse and children are also eligible for green cards, work authorization, and the ability to go to school in the United States. Multiple employment based immigrant visas require the US employer to get an approved labor certification. A labor certification is issued by the US Department of Labor and certifies that the employer made attempts at hiring a qualified US worker and was unable to do so. The labor certification process is time consuming, tedious, and it often discourages US employers from sponsoring foreign workers for a green card. The EB1B visa does not require a labor certification. Instead, a US employer can just hire the foreign worker through a job offer. The EB1B visa requires you to be internationally regarding as outstanding in your field. While this is a high standard to meet, it is a lesser standard than the EB1A visa which requires a showing of extraordinary ability. This means that for the right candidate, it is easier to get approved for an EB1B visa than an EB1A visa. You must have a US job offer to work in a teaching position or as a researcher. To qualify for an EB1B visa, you must prove that you are internationally recognized as being outstanding in your academic field. Special Note: If one of the criteria listed above does not readily apply to the evidence you intend to submit, you may submit comparable evidence to show your eligibility for an EB1B visa. The award does not have to be an international award, but it should not be a local or regional award. It should at least be a nationally recognized award. Awards received while you are a student will typically not qualify unless the award was outstanding compared to the awards typically granted in academia. What is written should be about your work and should demonstrate that you are internationally recognized as outstanding in your field. To determine whether the published material is about your work, USCIS will analyze the length and the content of the material. If your work is barely mentioned, it is likely that this will not qualify. To qualify for an EB1B visa, you must have at least 3 years of experience teaching and/or doing research in your academic field. If you are relying on time spent teaching while you were working on your advanced degree, then you must show that you earned the degree and that you had full responsibility for the class that was taught. If you are relying on time spent conducting research while you were working on your advanced degree, then you must show that you earned the degree and that the research conduced toward your degree was recognized within your academic field as outstanding [Code of Federal Regulations Section 204.5]. iii. You must have a US job offer to work in a teaching position or as a researcher. To qualify for an EB1B visa, you must have a US job offer to work in either a teaching position or as a permanent researcher. More specifically, you must have a job offer to work in a teaching position or as a permanent researcher, within your academic field, for a US university or institution for higher learning. Alternatively, you must have a job offer to work as a permanent researcher, within your academic field, for a private employer. To simplify this requirement, I've broken it down into 3 separate options. In this scenario, the position must be a tenured or a tenure-track position. To determine whether the position is a tenured or tenure-track position, USCIS will analyze whether you have a reasonable expectation of long-term employment with the university. Positions as an adjunct professor or as a temporary professor will not qualify. Here, the position must be to conduct research in your academic field. In addition, the research position must be permanent. A permanent position is one that is for an indefinite or unlimited duration and where as the employee, you would have an expectation of continued employment absent good cause for termination [Code of Federal Regulations Section 204.5]. In this scenario, the position must be to conduct research in your academic field with a department, division, or institute of a private employer. The position must be permanent (as defined above). The department, division, or institute of the private employer that will be employing you must already employ at least 3 other people as full time researchers. The department, division, or institute of the private employer must have achieved documented accomplishments in the academic field. The documents you submit with your EB1B petition are highly important to getting your petition approved. The specific documents you should include will depend on your particular achievements, qualifications, and credentials. If you have awards for outstanding achievement in your field, you should include them as evidence of your recognition as being outstanding in your field. You should include that actual award, evidence about the significance of the award, and information regarding the criteria by which people are selected to receive the award. If you are a member of an association within your field, you should include an ID card or letter from the association demonstrating your membership. You should also include a letter from the association showing the criteria for being selected as a member. This letter should explain that you have the required work experience as a researcher or teacher. The letter should explain your job duties. It should be on official letterhead and signed by an authorized representative of the employer. The job offer from your US employer must be in writing. Oral offers of employment will not qualify. One of the most valuable components in an EB1B visa petition are letters of endorsement from experts in your field. These letters can help to explain your impact and significance in your field. Letters of endorsement should be backed up with concrete evidence. In addition, these letters should ideally be from people you are not closely acquainted with. Your immigration lawyer will first determine whether or not EB1B is the best option for you. Assuming it is, your immigration lawyer will analyze your credentials and prepare a detailed list of documents for you to provide them. The Form I-140 is the initial form that you must file with USCIS. This form is also called the Immigrant Petition for Alien Worker. Your immigration lawyer will file this form on your behalf and include all of the supporting documents such as your awards and letters of endorsement. There are 2 options for step 3: 1. Adjustment of status or 2. visa processing. An adjustment of status is available to people who are lawfully present in the United States in some non-immigrant status. The adjustment of status quite literally means adjusting from a non-immigrant status to immigrant status. In order to do this, your immigration lawyer will file a Form I-485 on your behalf. Once approved, you become a lawful permanent resident. The entire adjustment of status process takes place in the United States. Visa processing is the process of apply for a visa at a foreign consulate abroad. In order to do this, you file a DS-260, Immigrant Visa Application with the US consulate (usually of your home country). You will then schedule a visa interview. Upon completion of the interview, if successful, you will be issued an EB1B visa. During this step, USCIS is determining whether you actually have sufficient evidence to satisfy at least 2 of the 6 evidentiary criteria listed above (awards, membership in associations, etc.). The quality and the caliber of the evidence is not the primary focus of this step. If you do not satisfy at least 2 of the criteria, your petition will be denied. During this step, USCIS is critically analyzing the totality of the evidence submitted to see whether you have are at a level to be considered outstanding in your field. At this stage is where the quality and caliber of your evidence is primarily assessed. Even if you satisfy 2 of the 6 evidentiary criteria, you still might not pass the final merits determination if the evidence you submit is not strong enough. You should now have a much better understanding of the EB1B visa. As you can see, this is a great option for researchers and professors to obtain a green card and to continue to work as researchers/professors in the United States. Your chances of approval for this visa are very closely tied to the evidence you submit and the way your case is prepared and explained. It is very important to work with an immigration lawyer throughout this process. If you have any questions, or if you need help getting your EB1B visa, email me at Michael@AshooriLaw.com. 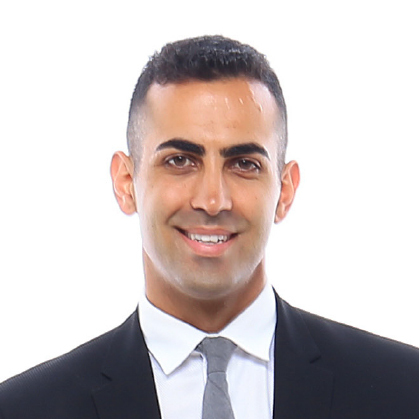 I’m the founding attorney at Ashoori Law and I would be happy to help you.